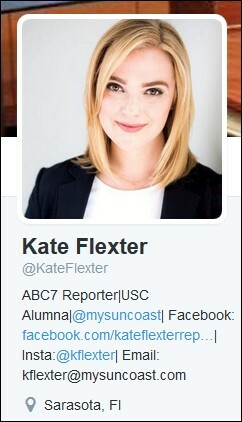 This investigative report by reporter Kate Flexter aired on the ABC-TV affiliate in Sarasota, FL, on the 7pm News on April 7, 2016. Below the screen, I've included a partial transcript. The LifeVac is designed to remove a blockage in someone's throat during a choking incident when all other lifesaving attempts have failed. ...The issue is the device has not technically been approved by the Food and Drug Administration because it doesn't have to be. The FDA tells ABC7 that LifeVac is registered as a moderate-risk device which makes it "exempt from the clearance and approval process." But some doctors we talked to say it should be tested more thoroughly and is potentially dangerous. We showed the training video for the device to the head of pediatrics at the Florida Hospital in Tampa, Dr. James Orlowski. Dr. Orlowski says the pressure created by the device could potentially cause damage to other parts of the body in the process. Up until last week, no study on the device had been published in a peer-reviewed medical journal. And for the study published in the American Journal of Emergency Medicine last week, the device was only tested on cadavers. Dr. Orlowski says using a community as a petri dish is disconcerting. The video's embedded on ABC7's Facebook page. Here's the first comment from a viewer. 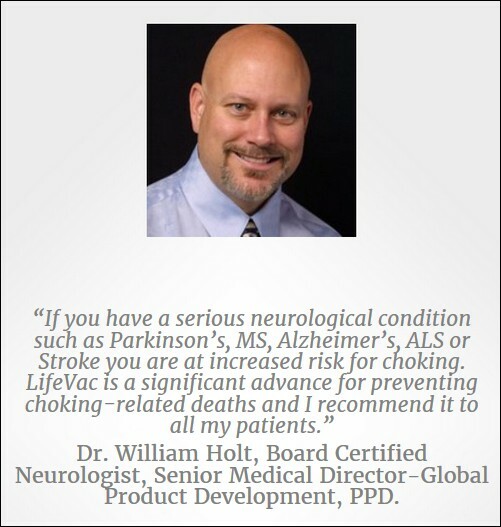 After Ms. Flexter's report, ABC7 anchor/managing editor Alan Cohn hosted this round table discussion with Dr. Orlowski and LifeVac advocate osteopath William A. Holt of Port Charlotte, FL. 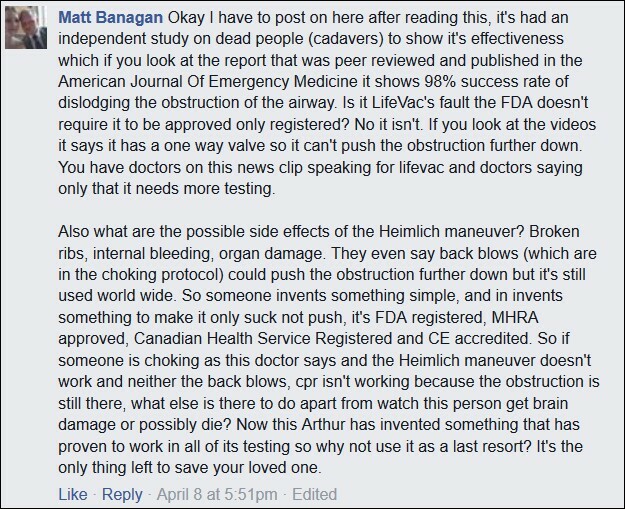 If Dr. Holt sounds well-informed about the LifeVac, he ought to be.